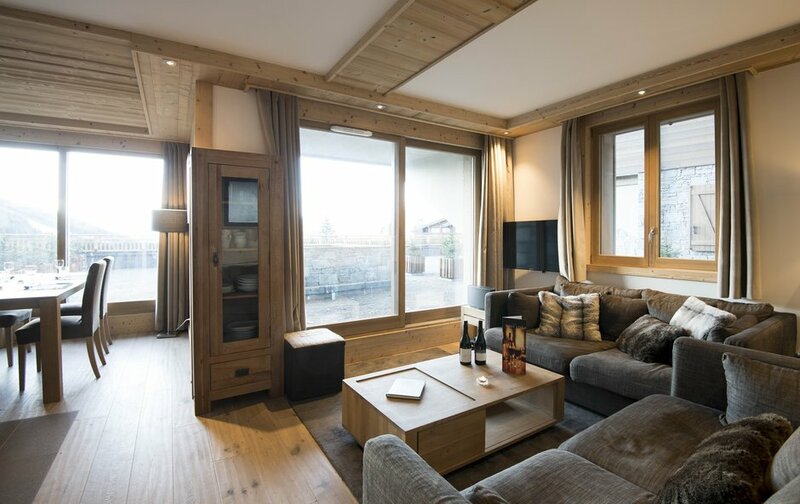 Bellevue is a chalet/apartment located in a brand new building called Aspen Lodge, an attractive addition to the village built to high specifications with stone and wood cladding. 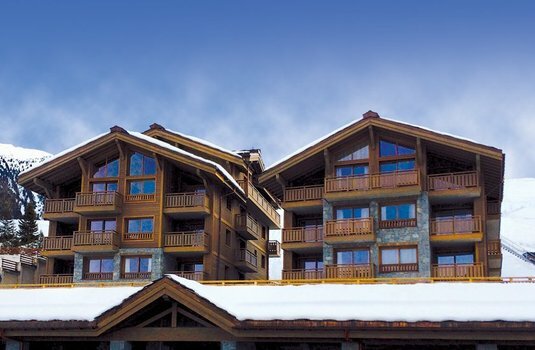 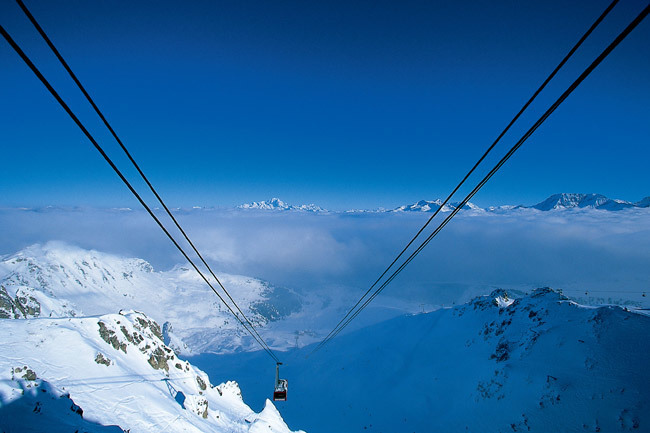 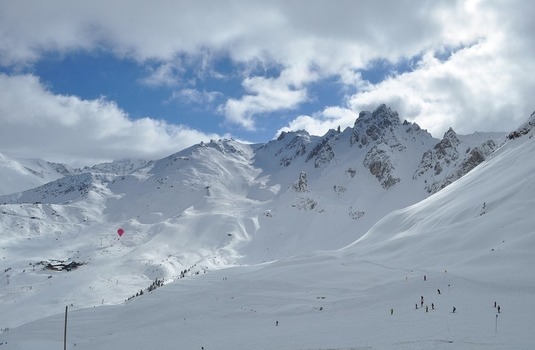 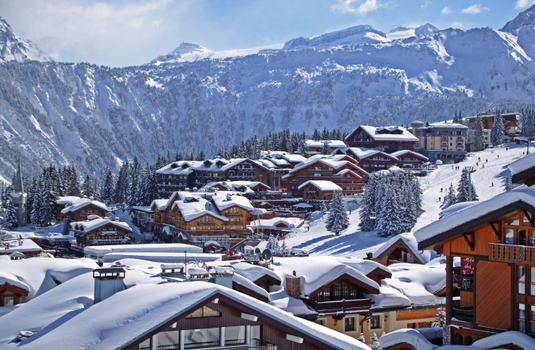 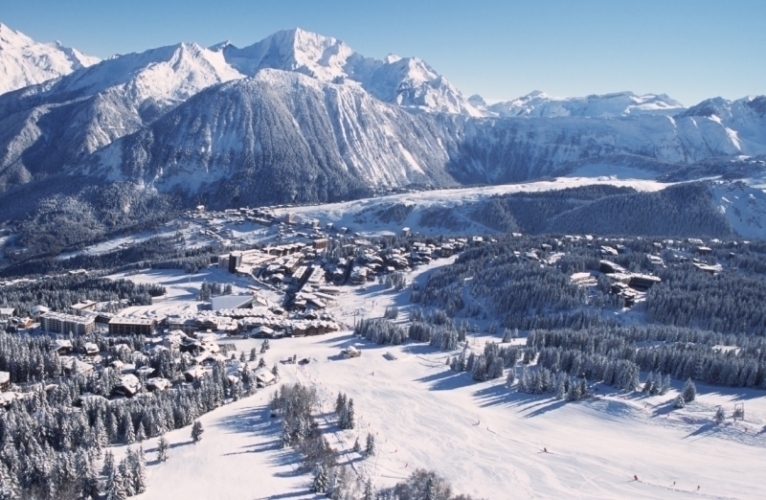 Located right in the centre of Courchevel Moriond it's a mere 3 minutes walk to the pistes, and very close to the main shops and bars. 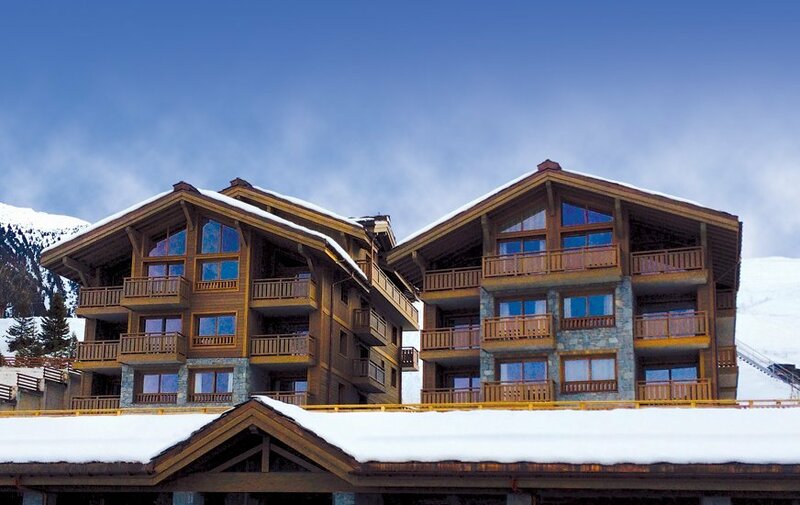 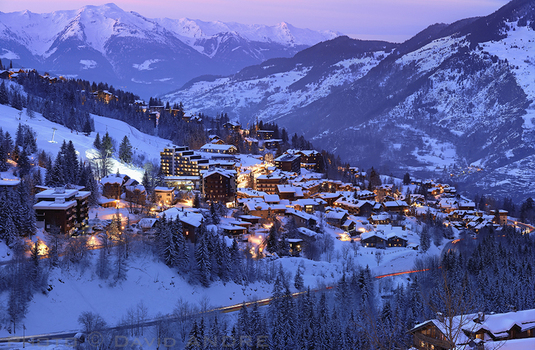 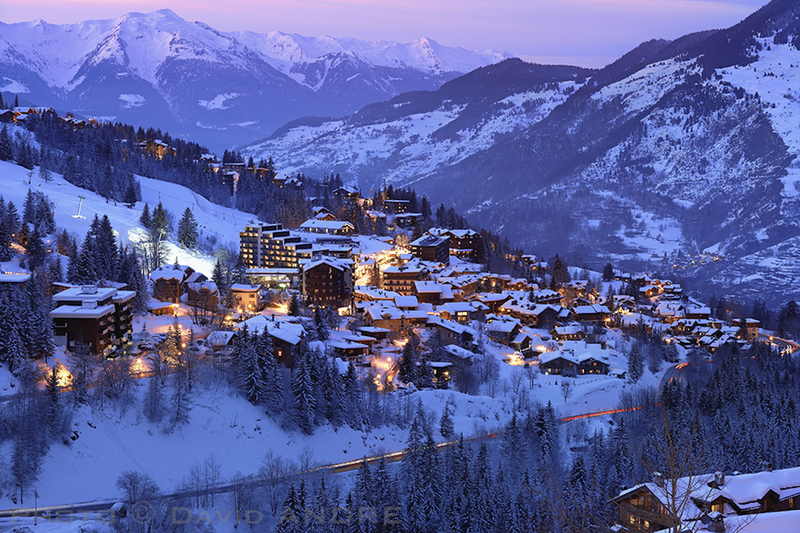 The terrace and lounge have stunning views of the slopes of 1850 and the beautiful sunsets over the valley. 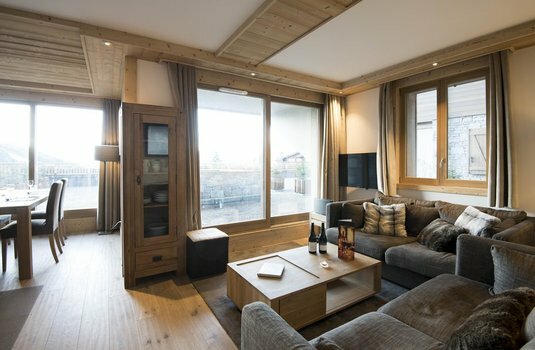 The lounge and dining areas are also beautifully finished in a contemporary style. 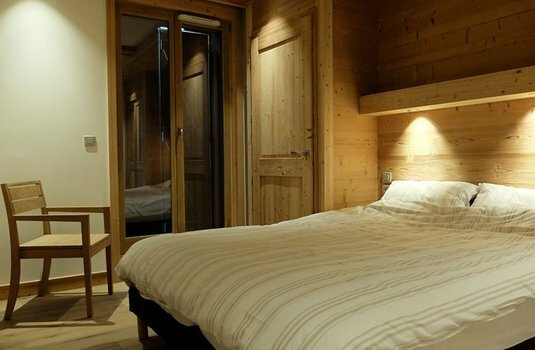 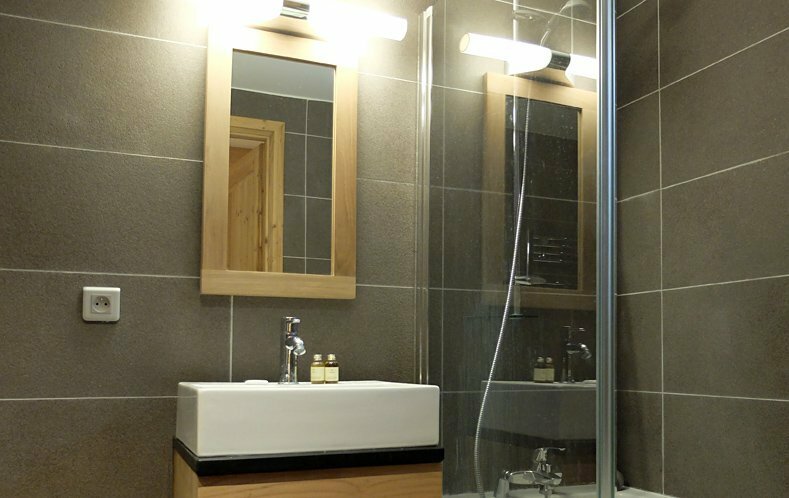 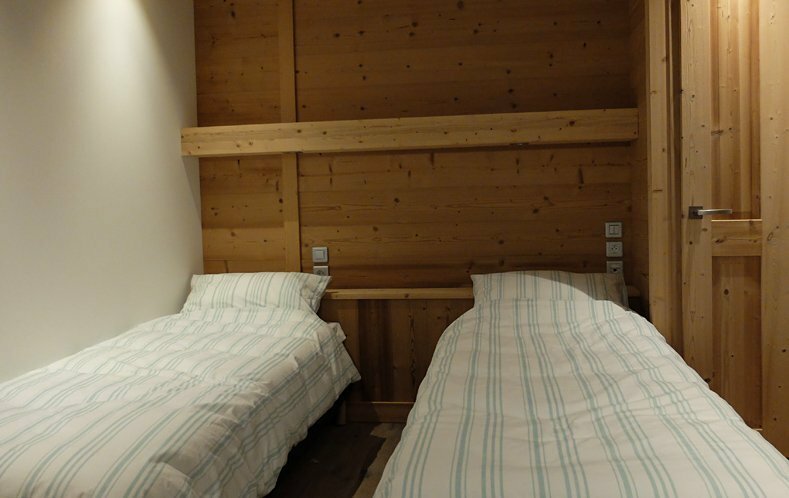 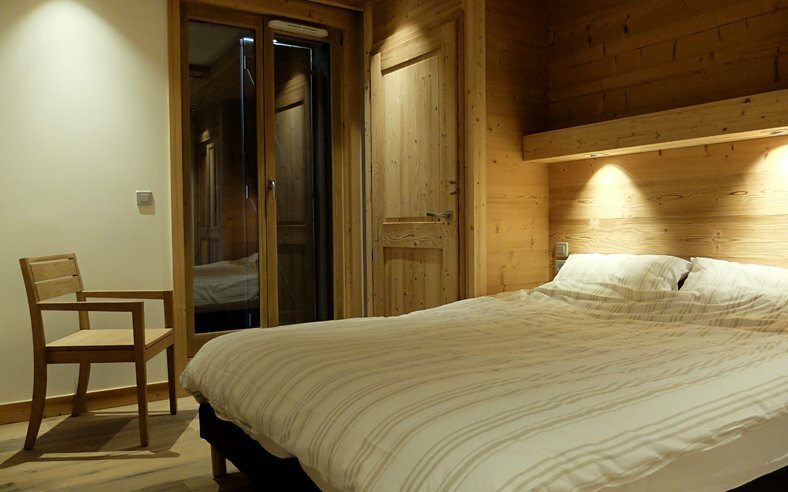 Chalet Bellevue has two bedrooms and sleeps four guests. The two twin bedrooms are stylishly decorated and have ensuite facilities: the master bedroom has a bath/shower, WC and double basins, with a terrace, and the 2nd bedroom has ensuite shower, WC and basin.